Losing one’s teeth may not be as simple as you think. For one, your jaw bone loses its form and density over time. This loss decreases the jaw’s height and width, so that your face starts looking older than you actually are. Your gum tissues start thinning, too, giving you gum lesions or sores more often. 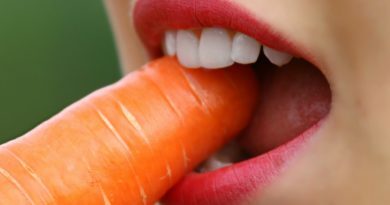 Aside from these physical consequences, losing your teeth means not being able to eat and savor all the dishes and food you like. The most common cause of tooth loss is gum disease, usually due to poor dental hygiene. Other causes are dental caries which, left untreated, can progress to the extent that the tooth is beyond salvage and must be extracted. Tooth loss is also caused by accidents, trauma and smoking. And it is a natural consequence of aging. Traditional dentistry used dentures to replace tooth or teeth lost. These are false teeth made of cast metal, acrylic resin or porcelain. Their biggest advantage is their low cost. 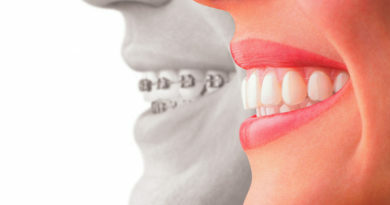 They are recommended for people whose jaw and gums are weak or not in good health. Your dentist is the best person to assess them. Beyond that, dentures are complicated – you need to use dental adhesives to keep them in place, embarrassing – they can slip out while you’re eating, talking or laughing, and uncomfortable – ill-fitting dentures can cause gum irritation and sores. Modern dentistry has come up with the dental implant. This device replaces the actual tooth. Unlike dentures that merely sit on top of your gums, dental implants are inserted into the jaw and later fuse themselves with the jawbone. The implants are made of titanium, a metal proven safe with human tissues and have the ability to bond with human bone. According to DentalBoise.com, after the implants have healed, it becomes stable enough to hold a replacement tooth (crown) or teeth (bridge.) Healing can take about three to four months. There is also an abutment that is fitted to the titanium to connect it to the crown or bridge. Today or until something better is created by science and technology, dental implants are the best solution for replacing missing teeth. They don’t move or slip, saving you those embarrassing moments. Your facial structure is not disfigured and you can eat and chew food without difficulty, just like you are using your natural teeth. Dental implants have the appearance and feeling of real teeth and they don’t need as much maintenance as dentures. Implants are not for everyone though. If you’re not more than 18 years old, your bone tissue has not yet fully developed, so implants might get misplaced over time as the bones grow and develop. A person contemplating an implant must be examined by the dentist for a healthy oral condition; otherwise, the risk for gum infections is high. The jawbone must be thick and strong enough to accommodate an implant and there must be no medical condition that is contraindicated for an implant, such as poor blood clotting time and other systemic diseases. 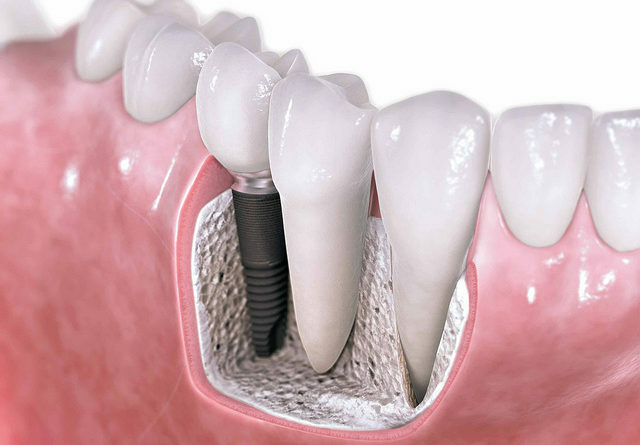 Granting that you are a good candidate for a dental implant, the only drawback is its price. In 2010, an article placed the cost of a full or partial implant from $20,000 to $45,000 while a complete set of dentures of upper and lower jaws cost only $2,500. ← Who Is Most Likely To Be At Risk Of A Stroke?